We are Manufacturer, Supplier, Exporter of Passivation Chemicals to all grades of Copper. It is commonly known as Anti-tarnish treatment of Copper etc. Electronic and electrical componants, untensils, connectors etc. Heat exchanger tubes for condensers in steam power stations and chemical plants. sprinkler systems, piping at distillation plants, seawater feed lines, cement pumps for drill water supply, tubes for distribution of natural and liquefied petroleum fuel gas distribution piping commodities, pin, electrical wiring, boat propellers, photovoltaic cells, saxophones, copper, virtually all electrical wiring, busbars, conductors, transformers, and motor windings. electrical applications, computer technology, televisions, mobile phones and electronic devices. Electronic connectors, circuitry wiring and contacts, printed circuit boards, Semi-conductors. vacuum tubes, commutates, welding electrodes etc. We offer passivation to reactive copper. 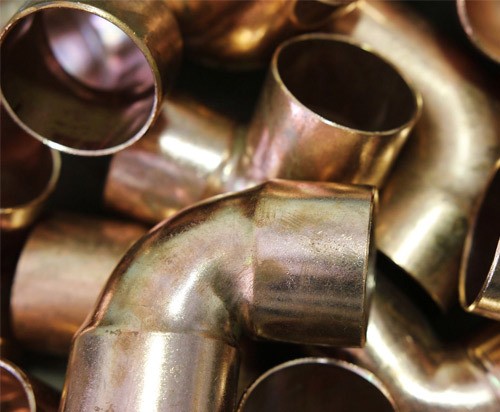 The rate of tarnishing due to environment can be controlled with copper passivation chemicals. They can be used in hot bath in production line. Passivation to copper is challenging task as copper is quite reactive metal to variety of corrosive attackes. It readily dissolves in various acids. The passivation of copper is required for many electrical applications subject to thier conductivity. The defect in passivation or lack of passivation leads the raw copper to tarnishing. We deliver passivation for variety of copper articles. developement goes a step ahead for EcoPassivaiton of copper.